Get The Free Template & Script! If they can't sell it, what will they do with it? That’s where YOU come in. 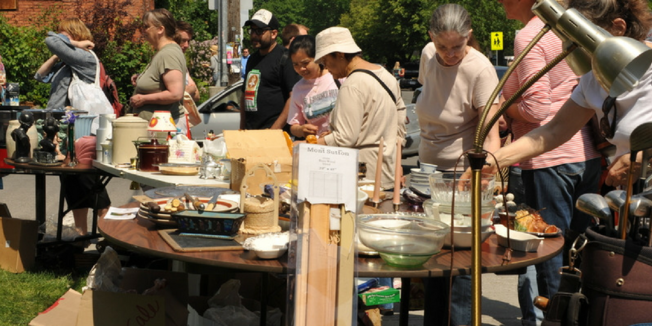 Providing the sellers a one-page sheet of resources to “get rid” of their stuff (with your branding on it) after their yard sale will be invaluable and start up a conversation! Download your free template to get you started *AND* a short script of how to break the ice and what to say when you hand them your resource list. This is free advertising for your business via value-based relationship building and anyone can do it! Let Yard Sales Help You Saturate Your Marketing Area!